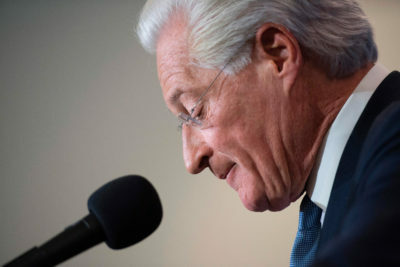 In recent weeks, ProPublica spoke with more than two dozen current and former employees of Kasowitz’s firm, Kasowitz Benson Torres LLP, as well as his friends and acquaintances. 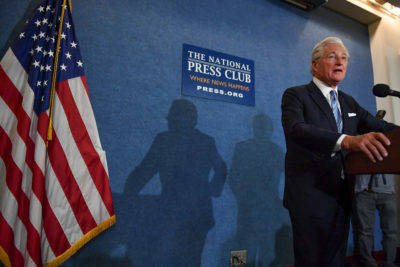 Past and present employees of the firm said in interviews that Kasowitz has struggled intermittently with alcohol abuse, leading to a stint in rehab in the winter of 2014-15﻿. Lieberman and Kasowitz grew up in the same neighborhood in New Haven, Connecticut. The future senator used to see Kasowitz’s father, who ran a scrap-metal business, walking through the neighborhood, greeting everyone as he went. Kasowitz went to Yale to study American history and then to Cornell Law School. After graduating in 1977, he started his law career in New York. In 1993, Kasowitz broke off from the prominent firm Mayer Brown to found his own firm. In February, several lawyers were upset when Michael Cohen, the former personal injury lawyer and real estate investor who is best known as Trump’s former in-house attorney, arrived at the office. Annie Waldman, Jessica Huseman and Cezary Podkul contributed reporting to this story. Do you have information about Marc Kasowitz or his firm? Contact Justin at [email protected] or via Signal at 774-826-6240. Contact Jesse at [email protected] or via Signal at 718-496-5233. Correction, July 12, 2017: This story previously said former senator Joseph Lieberman grew up in New Haven, Connecticut. In fact, he grew up in Stamford, Connecticut.